When the invitation arrived in her mailbox, Caroline didn’t know what to think. She recognized Abby’s handwriting immediately. Had she forgotten a birthday? Why was Abby sending her a formal note? She tore open the envelope and read. The honor of your presence is requested at a Renewal of Vows. Oh, she thought, Abby and Sam’s anniversary, of course. The invitation was so old-fashioned, so pretty. So Abby. Caroline ran her finger over the swirling blue font. A twentieth anniversary celebration. It took her a moment to register the cruise part. Oh, she thought again. Weren’t cruises for old people? Surely, their gang wasn’t part of the senior set yet, ready to ring the bell on their last sunset. Why not a trip to Vegas—or someplace remote, like Iceland, to mark the occasion? The last time Caroline, Lee, and Abby had all gotten together, it had been for their annual girls’ weekend in Aspen. Each year, the three of them left their messy lives behind for a few days and pretended it was like old times. Which it kind of was, because every time they gathered, the years fell away and they might as well have been sitting on the frayed chenille couch in their dorm room and watching Jeopardy! Except the hotel rooms they stayed in these days had four-hundred-thread-count sheets, Wi-Fi, and room service. On the bottom of the invitation, Abby had written: “Please come! It will be fun! You, me, Sam and Javier, Lee and Lacey. All expenses paid. Pretty please?” Caroline wondered if Lee’s daughter, Lacey, would actually agree to join them or, now that she was a freshman in college, if she was too cool to spend a week with her “aunts.” Still, a vacation was a vacation, and Abby and Sam were offering to pay. Caroline gazed out her apartment window at the Manhattan skyline. As much as Caroline loved to travel, she had a thing about boats. She’d much rather be suspended forty thousand feet above land in an airplane than floating on a bottomless sea. The one time she’d gone sailing—years ago, on a yacht with the dashing editor of Milan’s fashion magazine—she’d vomited over the side and ruined what might have been a promising evening. She supposed, though, that there were things like Dramamine and those little acupressure bracelets she could wear now. Did people even get seasick on big cruisers? Her mind darted to Javier. She checked the invitation again. You, me, Sam and Javier. Of course, Abby had thought to include Javier, even if Caroline’s three-year-old relationship with him was nothing like her friend’s sturdy, stalwart marriage of twenty years. And if she were being completely honest, Caroline occasionally had her own smidgen of doubt about her boyfriend, like an old back injury that resurfaced from time to time. But maybe a cruise, an anniversary cruise, would spark something in him. The idea that it was time to take whatever it was they were doing to the next level. Whenever the roommates got together, Abby and Lee would press her for news. Any ring yet? And Caroline would wave it off, pretending not to care. The first year she and Javier had dated, she really hadn’t cared. 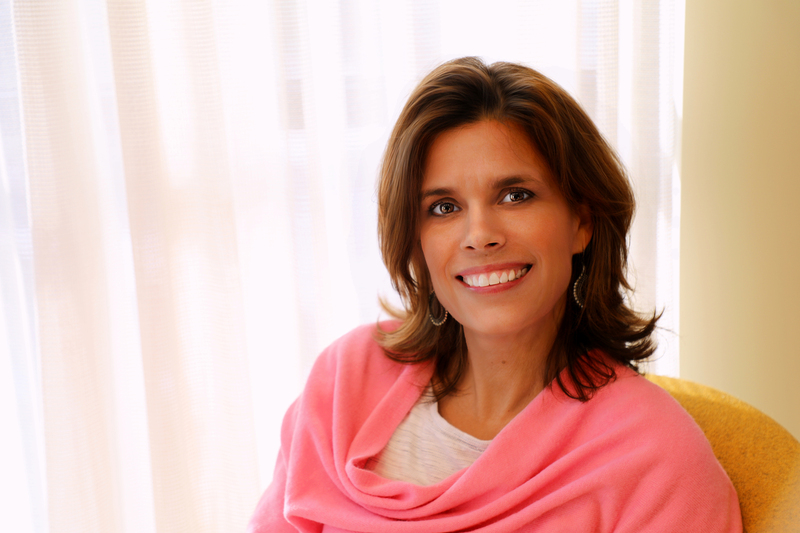 She was content to find someone so kind, so smart, someone who tolerated her insane work schedule now that she was a senior editor at Glossy magazine. Javier traveled almost as much as she did, jetting from vineyard to vineyard and sampling wines for his boutique stores back in New York. Her boyfriend was a sommelier. It had an appealing ring to it—plus, he was the most amazing lover she’d ever had. She didn’t need someone to settle down with, had never felt the maternal tug. But lately she’d been thinking more about having a permanent place they could call home, a dwelling beyond their loft apartment on the Lower West Side. A little house, maybe, in Connecticut, or across the way in New Jersey. Caroline wasn’t getting any younger, and though Javier rightly pointed out that she’d always be younger than he (seven years to be exact), she was beginning to register that desire her girlfriends had described: a longing for a commitment with heft, a solemn oath that he’d spend the rest of his life with her, in sickness and in health. Javier had promised her all of these things, but Caroline was feeling the need to make it official. Was that so crazy of her? Abby, at least, told her no. Caroline was happy for Abby, truly, genuinely glad that her friend had had the good fortune to be married to a solid guy like Sam for twenty years. She loved Abby like a sister. But, if she was being completely honest, she was also a tiny bit jealous. Because if Sam and Abby were celebrating their twentieth, what was Caroline celebrating? Fifteen years in the publishing industry? As if that deserved a candle! She, Lee, and Abby had all started out of the same proverbial running blocks at their small New England college, yet Caroline felt outpaced by both her best friends. She wandered over to her desk and flipped ahead in her calendar to June. Ever since she’d jettisoned the world of wedding planning and neurotic brides fifteen years ago, Glossy had become her home away from home. Most nights found her in the office till eight or nine, but, aside from a few meetings she could pass along to her assistant, the week of the cruise looked wide open. Could she afford to take an entire week off from work? She was about to pencil it in with a question mark when her phone rang. Abby. Caroline picked up. “Hello to you, too,” Caroline said with a laugh. “Perfect timing—I just opened it. Wow, twenty years. Can that be right? We must be getting old.” She settled onto her sofa and watched as the sidewalks below began to fill with purposeful New Yorkers striding out in the brightening Saturday afternoon. “I’m happy to go along with that reasoning,” said Caroline. Caroline smiled despite herself. Abby had always been a gifted saleswoman. A cocktail poolside sounded pretty appealing at the moment. “Please tell me I don’t have to wear that awful seafoam dress again.” Abby had put Lee and Caroline in ridiculous ruffled bridesmaids’ dresses for her big day—an unfortunate fact that they would never let her forget. The wedding itself, however, had been gorgeous, set in a quaint seaside town on the Cape. “Fine, but even if Javier can’t come, your presence is mandatory. You were my wedding coordinator after all.” And with that, her friend buzzed off. Caroline thought back to Abby’s wedding day. One of her first jobs as a wedding coordinator, it had been all she could do to keep things running smoothly, what with the flowers nearly forgotten and then Sam fainting from the heat. But the day had been a success because Sam and Abby had gotten married. Finally! After three years of dating in college and four after that. Of course, Abby would be the first of the roommates to get married. People were always drawn to her, the way she exuded an air of calmness and a certainty that everything would turn out all right. She’d easily assumed the role of den mother of their little college pack. Caroline was the driven one, the studious roommate who made sure everyone turned their papers in on time. And Lee, with her long golden hair and southern accent, was the kind of girl for whom college seemed tailor-made (Caroline remembered one boy actually dropping his tray in the dining hall when Lee walked in). If Lee weren’t so nice and funny, if the three of them hadn’t been assigned as roommates, Caroline would probably have hated her. The summer before freshman year, they’d all filled out a questionnaire meant to pair them with compatible roommates. But when they’d shown up that first day—Lee from Charleston, funny, to the point, and with a predilection for saying “y’all”; sweet, down-to-earth Abby from the Cape; and Caroline from Long Island with a toughness that neither of her roommates seemed to possess—none of them could understand why they’d been thrown together. Aside from the fact that they’d all checked off Impressionist painting as their favorite art, they didn’t appear to have much in common. They’d spent that first afternoon taking the measure of one another. But then, after a day of unpacking followed by pizza, Abby had blasted “I Melt with You,” and, like fools, they’d danced around their new room under the watchful eyes of Renoir’s Luncheon of the Boating Party. Later that night, Abby had exclaimed, “I know why they put us together!” Lee and Caroline had gazed at her expectantly, as if she could read their tea leaves for the next four years. “We’re together because we’re all the ‘only child.’ No brothers or sisters. They wanted us to finally have sisters. Don’t you see?” Abby’s eyes had flashed as if it made perfect sense. “Henceforth, I hereby declare you, Caroline Canton, and you, Lee Minor, as my new and forever sisters!” After that, there had been no more judging. They were the forever sisters and that was that. Through thick and thin. Caroline set down her phone. A week sailing the seas to sunny Bermuda. Assuming she could keep seasickness at bay, how could it be a bad thing? It might, in fact, be just what she and Javier needed. Her mind started to spin with the ways she could turn it into a story for the magazine, something that would justify Glossy’s footing the bill, even if Abby and Sam were offering to pay. Pink sand, martinis on the deck, white-hot parties—the images began to twirl in Caroline’s mind like filaments of cotton candy wrapping around a stick. She started to tap out an e-mail to her boss with the heading Story idea: CRUISING TO BERMUDA. Lee sorted through the pile of bills with her morning coffee. That was all that ever seemed to come in the mail these days—bills and junk mail. She tossed a handful of supermarket flyers into the recycling bin, then noticed the corner of an ivory envelope protruding from the pile and pulled it out. A small wave of excitement rippled over her when she recognized Abby’s handwriting on the front, and she ripped it open. The honor of your presence, she read, is requested at a Renewal of Vows. On a cruise! Wait, a cruise? she thought. Well, that was different. Expensive different. So Abby and Sam had made it to twenty years. She hadn’t been counting—who had?—but it didn’t seem possible that twenty years had passed since that long-ago day in June. Lee still considered Sam to be one of the luckiest guys around—anyone married to Abby automatically lived under a charmed star. Of course, the fact that Lee’s daughter, Lacey, had been conceived on Abby’s wedding night probably made Lee disproportionately fond of them both. They used to joke that if Sam hadn’t fainted at his own wedding (a minor detail but still fun to mention) and pushed the ceremony time back by half an hour, Lee would never have met Lacey’s father. She and Caroline had been sitting at a local tavern, long after the wedding reception wound down, replaying the highlights of the night, when Scott showed up. Lee was immediately intrigued by the handsome man in uniform whose arms looked as if he threw out a hundred push-ups each morning. When he offered to buy her a glass of wine, she said yes, please, the tips of her ears tingling. He told her he was home for a week before shipping out again. A few more glasses of wine, and, before long, they were back in her hotel room, Scott asking if she had anything to be safe. She brushed him off, told him not to worry, the odds of anything happening so very slim. And then, a few weeks later: a blue line. Lacey. For nearly twenty years, Lee had been a single mom. Even when Scott offered to get married (she’d tracked him down overseas with the news), they both knew it wasn’t right. Now he was only tangentially involved in their lives, retired from the Navy and living in a leafy Philadelphia suburb with his wife and three kids. Every so often a card and a check would appear in the mail for Lacey, but Lacey wasn’t stupid. She knew dads showed up for recitals and soccer games, tucked you into bed. All things Lee had done single-handedly for Lacey’s entire childhood and adolescence. And now Lacey, the girl who could squeeze the strongest emotions from Lee—both a fuming, inconceivable rage and a love so uncontainable that sometimes Lee just had to pull her daughter’s sweet, grown-up face into her hands and kiss it—was a freshman in college. Well, technically a sophomore. Exams had wrapped up last week, and Lacey was home to keep Lee company and also, quite possibly, to torture her for the remaining months of summer. The honor of your presence is requested, Lee read again. Below Abby had written: “Hope you and Lacey can join us! All expenses paid. Please come!” Lee grunted at the mention of expenses. Sam and Abby had more money than they knew what to do with, thanks to Sam’s family’s good fortune—his dad, an investment banker, had come into a windfall during the dot-com era. An island cruise would be a mere blip on their bank account. The sound of Lacey’s feet hitting the bedroom floor banged overhead. Lee listened as her daughter made her way to the bathroom. Lee had been on Lacey’s case to get a job for the summer, but so far nothing had materialized. Which struck Lee as sheer laziness. If nothing else, Charleston was a tourist destination—there were always jobs for the taking in the summertime. The toilet flushed. The bathroom door squeaked open. Lee glanced around the kitchen island where she sat with the invitation, her coffee, and her laptop. It was her favorite place in the morning before she headed off to work, where she would attempt to coax unruly four-year-olds to behave. It was the last month of preschool, and the little miscreants only wanted to be let loose for the summer. Lee didn’t blame them. She felt exactly the same way. Lee cupped her hands around her coffee mug, feeling the warmth spread to her fingers, and sighed. She felt as if she’d sent one daughter out the door last fall only to have someone else’s child return in her place. Lacey spent most of her days holed up in her bedroom with her iPad, doing who knew what. The long-ago days of lounging on the couch and watching American Idol together were a distant memory. It was as if the transformation Lee had been bracing herself for during Lacey’s adolescence had waited to occur until her freshman year in college. Lacey wasn’t sullen exactly, but whatever view Lee took, her daughter could be counted on to take the exact opposite. Lee had been expecting changes in Lacey after freshman year, but more of the stretching-her-wings variety. Would she have dyed her hair? Pierced her nose, maybe? Lee remembered the intoxicating experience that college could be. But Lacey seemed to be floundering more than anything else. Instead of talking about what she wanted to do with the rest of her life, she gushed about Tyler, a boy from New York who’d wooed her during the first months of freshman year. Lee’s daughter had fallen in love. And her grades had quickly tumbled downward, the causal link so obvious to Lee. This from the girl who’d been valedictorian of her high school class. “I’m not paying for college just so you can meet some boy,” she’d warned Lacey over winter break during one of their tête-à-têtes. The words cut, but Lee chose to ignore the bait. “And I thought I’d taught you better.” After a few more harsh, regrettable words were exchanged, Lee stormed off in her car, like a defiant teenager rather than a middle-aged mother. Where had feminism gone? Lee wondered while she sat alone at a bar that night and twirled the olives in her gin martini. Where had she gone wrong? All those years spent nurturing, helping with homework, advising and consoling her daughter over the occasional mean girl. Hadn’t she been a good role model for Lacey when some days she would have much rather stayed in bed? As she’d helped Lacey pack her bags for college up North, Lee had secretly hoped her daughter would want to go into medicine. Lacey was strong in math and science, all the classes that had eluded Lee. Was Lacey going to marry this guy? The thought scampered across Lee’s mind now, and she shoved it away. Lee had met the boyfriend once, at parents’ weekend in October, and had been underwhelmed—Tyler someone (Lee always forgot his last name), who was tall with a mop of dark hair but who seemed incapable of forming an articulate sentence. Lacey said it was because Lee made him nervous. Which had prompted another round of arguments. How did Lee make him nervous? Because you make everyone feel like they’re not good enough! Lacey had screamed. Lee sighed at the memory. She typed Aequor Cruise Lines into the computer. What could it hurt to look? When the website popped up, tanned, relaxed, fit-looking people lounged by the pool. Lee scrolled through the pictures for the Bermuda Breeze, an enormous ship. There was a peanut-shaped pool, gourmet restaurants, a casino, and spa. And then the photos of Bermuda, all that pink sand and water so turquoise it seemed unnatural. The more Lee considered it, the more the idea of a cruise intrigued her. She hadn’t seen her roommates in what felt like a dog’s year. She and Lacey could relax in the sun, no pressure, maybe even share stories like old times. A change of scenery might be palliative for them both. She clicked on costs: it looked like roughly a thousand bucks per person. Yes, a cruise might be just the thing to set them back on their old path, the mother-and-daughter team of two, making their way through the world, cresting one wave at a time. Abby double-checked her suitcase for the multiple bathing suits and tubes of sunscreen she’d laid out the night before. It was all there, tucked neatly beneath her outfits for each night, eight in total, Friday through next Saturday morning. She’d packed the black one-piece with the built-in Lycra tummy, the magenta two-piece with a ruffled skirt to hide her thighs, and, in the event she was feeling adventurous, the red-and-white striped bikini. The bikini would likely stay hidden away for the duration of the trip, but if she couldn’t at least hold on to the possibility of wearing it, what was the point of going on a cruise for her twentieth wedding anniversary? She wasn’t getting any younger. And her notebook, the one with the creamy leather cover, she double-checked for that, too. “Honey, have you seen my charger?” Sam’s head poked through the bedroom doorway. His cheeks were ruddy from the last-minute exertion of packing and loading up the car. “Sorry. Maybe check the basket in the kitchen? There’s a bunch in there.” Abby tugged on her suitcase’s zipper before realizing that she’d get better leverage if she climbed on top. Sam shook his head. “Already looked. About eight different chargers but not the one I need.” His footsteps thumped back downstairs. There was something about packing that turned them all into maniacs. Or maybe it was the sultry June heat pushing through the window. She’d already changed her shirt once after sweating through the first. In one bad decision (of many) of late, they had decided not to buy a new window air conditioner until a true heat wave hit. Last year’s AC had gone on the fritz, and it had seemed as if they had months to replace it until now, here they were, sweating like pigs without even a single fan. At last, Abby managed to get the suitcase closed. After twenty years together, she and Sam had learned it was best if they packed separate bags. It avoided the inevitable packing confrontation, rendering obsolete questions such as Why did she need all these shoes for one little trip? and Where did all the shoes come from anyway? No, there was no point in arguing before they were even out the door. Traveling with separate suitcases was one of the secrets to a happy marriage. Abby groaned. Chris and Ryan were at it again. She stuck her head in the hallway. “Honestly, Chris. Do you have to talk that way? Please be kind to your brother.” For some unknown reason, he’d taken to addressing his twin like a criminal lately, as if it were perfectly acceptable behavior. “He’s being an idiot,” Chris said again, as if to further his point. Abby shot him a look over Ryan, who stood a full four inches shorter than his brother. “If I need to speak to you again about your language, you might as well stay home. Going on this cruise is a privilege.” It was part threat, part reminder, one that she and Sam had been holding over the twins’ heads at various times during the last week. Please, she offered up a silent prayer. Could they please just make it to the boat so she could plunk herself into a chair and leave her family to fend for themselves? What was the worst they could do? Throw each other overboard? She was pretty sure Sam would jump in after them or, at the very least, alert the captain. Meanwhile, Abby could enjoy her book in the sun. “I didn’t do anything. He’s got my headphones and I want them back,” Ryan pleaded. The second-born, only five and a half scrawny pounds to Chris’s six, Ryan might have been a straggler, but he was a fighter. Though she wasn’t supposed to have favorites, Abby’s maternal, protective instincts had kicked in instantly when she sat beside Ryan in the NICU those first ten days, willing him to fatten up and his lungs to pump. It had been this way ever since, Chris being the handsome go-getter for whom everything seemed to come so easily, so naturally, and Ryan having to struggle to make good grades and find friends. Chris tore the Bose headphones from around his neck and whipped them at his brother. “Hey!” she cried. “That was totally unnecessary, and you know it.” Abby tossed Ryan a beseeching look, one that she hoped conveyed that she was sorry his brother was being such a jerk but if he’d agree to ignore it, she would make it up to him somehow once they reached the boat. Ryan shrugged and stuck the headphones in his backpack. She circled the living room and headed into the kitchen, where she double-checked the fridge door. Tightly shut. All the burners were turned off on the stove. She ran through the remainder of her mental checklist. The mail had been put on hold, the trash emptied. She’d already dropped off Wrigley, their golden retriever, and a ten-pound bag of dog food at the neighbors’ house this morning. The family had never been away from Wrigley for more than a few days, but he’d padded right into their neighbors’ house and settled on the kitchen rug, as if he’d lived there his whole life. Yes, everything that needed doing before the cruise had been accomplished. Abby went back into the living room and watched through the window as the boys lugged their bags out to the car. She could hardly believe that on another sweltering June day, almost twenty years ago, she had gazed across the church at Sam, so in love. Could she have anticipated all that had happened since? Not even close. Like how they’d tried for kids for so long, one frustrating month after another, until finally, miraculously, she was pregnant with the twins? Or, how the topsy-turvy world of tenure would lead them first to New York City, then to Philadelphia, and finally to Boston while Sam scaled the academic ladder as a history professor? Or that Abby, always one to be chasing her career, had more or less quit her job at the art gallery to raise the boys? No, looking at Sam that day, she couldn’t have imagined all that lay ahead: the loss of both her parents, the various trips to the ER for the boys, the endless battles over homework, the baseball and hockey tournaments. It was all there—the richest memories, the most challenging times—and she wouldn’t change any of it. Well, maybe one thing. But what was the saying? Whatever doesn’t kill you, makes you stronger. If that were true, then Abby was destined to be a Teflon woman. She just needed to stare down the one thing that threatened to steal away everything dear to her. After the cruise, she’d promised herself, she would tend to it. She pulled shut the front-window drapes. When she turned, Sam was back inside, waiting, pretending not to check his watch. She scanned the room one last time, making sure nothing was out of place. Then she grabbed her pocketbook off the hallway bench and retrieved the garment bag that held her dress. She draped it across her arm, careful not to crease it. Sam rested his hand on her shoulder and squeezed as he followed her out, then pulled the door shut behind them. 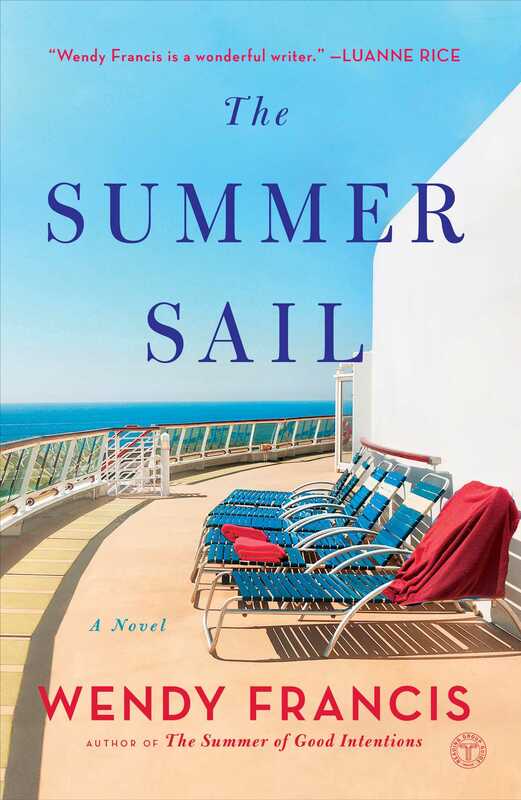 This reading group guide for The Summer Sail includes an introduction, discussion questions, ideas for enhancing your book club, and a Q&A with author Wendy Francis. The suggested questions are intended to help your reading group find new and interesting angles and topics for your discussion. We hope that these ideas will enrich your conversation and increase your enjoyment of the book. Three college roommates reunite for a twentieth wedding anniversary celebration on board a cruise ship. Abby, the proverbial mother hen of the group, is hoping to enjoy the occasion despite the secret that she and her husband, Sam, are keeping from their friends. Caroline, an ambitious and independent career woman, is hoping for a proposal from her boyfriend, Javier. And Lee, a single mom, is most looking forward to having some bonding time with her daughter, Lacey, as their relationship took a turn for the worse during Lacey’s first year in college. As the ship sets sail and tensions rise, Abby, Caroline, and Lee soon realize that their secrets won’t just disappear in a sunset cocktail or an ocean breeze. 1. Describe Abby, Caroline, and Lee. How do their differences complement each other? What do they teach you about female friendship? 2. Lee admittedly sacrifices her own happiness for the sake of Lacey’s. But rather than feel appreciative, her daughter considers this cruel. To what extent has being a mother affected Lee’s relationship and career choices? Are Lee’s sacrifices unusual or all part of being a good mother? 3. Caroline decides that if Javier does not propose by the end of the cruise, their relationship is over. But she does not actually tell him this. Do you understand Caroline’s rationale, or do you find her decision unreasonable? Should she be more up front with Javier? When, if ever, is it fair to deliver an ultimatum in a relationship? 4. While writing her article for Glossy, Caroline observes the passengers. What does she learn? Do you think the excessive eating, drinking, and partying offers a “larger commentary on American society in general”? Have you ever been on a cruise? What was your experience like? 5. Lee thinks her daughter is more preoccupied with her boyfriend than she is with her future career, and this often causes friction in their relationship. But Lacey is frustrated by her mom’s expectations and resents the notion that she must “single-handedly carry the torch for all women.” She thinks, “Women were already equal. If Hillary Clinton could run for president, then what was left?” And despite how grateful she is for her privileges, Lacey thinks: “sometimes it seemed like her mom’s generation had gotten it all wrong. In their race to shatter glass ceilings, many of them had put their own families on hold.” Do you think Lacey’s convictions about women are outdated? Is Lee’s concern for her daughter’s priorities warranted, or is Lacey’s behavior a prime example of a young woman blinded by love? 6. When first arriving on the Bermuda beach, Abby instantly feels her mood lighten and her stress subside. She thinks, “It was hard not to be grateful for every little thing.” Do you believe in the healing power of nature? Is there a place that makes you feel at peace? 7. Despite having written an article for Glossy suggesting that women should feel free to propose if their partner is taking too long to do so, Caroline doesn’t want to propose to Javier. Now that she’s in this predicament, she realizes that it’s “different in practice,” and that she’s still old-fashioned. What do you think of women proposing? Is there a stigma in society that shames women for taking the initiative? Do you think it’s time this changes? 8. Abby hasn’t yet told her boys about her health to “protect them for as long as she could.” Do you think Abby is right to wait? What would you do? Are there some situations when it’s necessary to withhold information from loved ones? 9. Thomas tells Lee that now that his daughters are grown up, he’s going to try to worry less and let them make their own decisions. Lee considers this: “Maybe it was different for fathers. They couldn’t wait for their kids to turn into miniature adults, even friends, while most moms Lee knew wished that the snuggling pockets of childhood would last a few years longer.” Do you think men and women differ when it comes to parenting and wanting to protect their children for as long as possible? 10. As Abby prepares to renew her marriage vows, she admits that she loves Sam more now than she did on their wedding day—but that it’s a different kind of love, describing it as “one that had mellowed over time, one that swam a smoother line.” Do you think love evolves and changes over time? 11. Discuss how secrets are a major theme in the novel. Why do each of the women conceal parts of themselves to those closest to them? How do they ultimately grow as characters once their truths are revealed? 12. Lee believes that the essence of being a mother is “to be able to show your children love even during the times when your instincts told you to scream, when it was the hardest of all to love them.” Do you agree? Discuss how Lee exemplifies motherhood by book’s end. Do you think Lacey relates to her mother better? 13. How did each of the women evolve over the course of the trip? What did they learn about themselves? Are there any challenges that they still must overcome in their personal relationships? 14. When the ship docks, Abby promises herself: “If nothing else, remember to be amazed.” What do you think of her new mantra? How can you incorporate it into your daily life? 1. Friendship is at the heart of the novel and unfortunately, many of us don’t take enough time to express our appreciation to our friends. Show your friends how you care about them. Consider writing cards, inviting them over for dinner, or, better yet, organize a trip. 2. Something’s Gotta Give is one of Lee’s favorite movies. Consider watching it at your next group meeting. Why did Lee admire Diane Keaton’s character? Discuss with your group. 3. Have you ever celebrated a milestone event with a girls’ trip? If so, share your experience with your book club and bring in some of your favorite pictures or videos. 4. Consider these other summer reads for your book club: Beach House for Rent by Mary Alice Monroe, Mystic Summer by Hannah McKinnon, or Wendy Francis’s own The Summer of Good Intentions. Why did you set this novel on a cruise? What was particularly appealing about having the women interact on shipboard? And, most important, did you take any research trips in order to write this book? To my mind, a cruise immediately says vacation and summer—two of my favorite words in the English language. A cruise ship also seemed the ideal setting for exploring the bonds of friendship among three women in need of a relaxing holiday. And where better to make tensions come to a head than on a boat hundreds of miles out to sea? So much can happen! As for research, I’ve been on three cruises now. The first cruise I took was several years ago with my extended family, all eighteen of us, including cousins, aunts, uncles, and grandparents. Initially, I was a tad skeptical, worried that despite the beautiful setting, I might get seasick. But thankfully, you can barely tell you’re moving on such large ships, and our cruise to a tropical island ended up being a wonderful time. It’s easy to see why roughly twelve million Americans set sail on these luxury liners each year. With tons to do for the kids, adults can truly relax poolside; and once you dock, the beaches are pristine—a slice of heaven. Sisterhood and strong female friendships are key elements to your novels. Is there a character or relationship in this novel that you can most identify with? Why? Indeed. There are elements in all of these women that speak to me. I share Abby’s maternal, nesting instincts along with her aptitude for worrying about everyone and everything. I can appreciate Caroline’s wanting Javier to propose already! Not that my husband dragged his feet, but up until my mid-thirties, I was fairly career driven. When I finally found the guy I wanted to marry, I was more than ready to tie the knot. And while I can’t imagine the complexities of being a single parent, there is something about Lee that I find irresistible. I admire her no-nonsense attitude and her uncontainable love for her daughter. I imagine I’d share her frustration with Lacey’s infatuation with her boyfriend, but I’d be equally relentless in making sure that Lacey finished college and pursued her passions, whatever those might turn out to be. Each chapter is told from the point of view of one of the three friends, with a few sections told from Lacey’s perspective. Why did you feel that it was important for Lacey to tell her own story? If only we could all know what goes on in the teenage mind! I didn’t set out to include Lacey’s point of view, but she seemed to demand it the further I wrote into the story. It was that persistent, nagging feeling I sometimes get when my youngest accuses me of not listening (and he’s usually right). So I tried to let Lacey whisper in my ear from time to time, to remind me what it’s like to be a teenager so wrapped up in her own world. She’s really a good kid at heart but has a lot to learn. By the end of the cruise, I hope she’s a little wiser. Your book comes out on the heels of an interesting political year. When Lee pitches the importance of women getting ahead in the world to Lacey, however, she doesn’t mention the #MeToo movement or the various women’s marches across the country. Why? The easy answer to that is deadlines. Most of the novel had already been written before we knew just how crazy things would get in this country. Politics is a tricky thing to delve into in fiction—everything changes so quickly, and it’s hard to know how relevant today’s news will be a year from now, let alone next week. Though I didn’t explore the current political scene, I trusted it was already pretty clear where Lee and her roommates stood on such matters. Abby joked that traveling with separate suitcases was one of the secrets to a happy marriage. Is this one of your own secrets? Care to divulge any other tips to your readers? Ha! My husband and I do travel with separate suitcases, but we usually end up sharing a suitcase with one of the kids anyway. A better way to ensure a happy marriage is to let Mom sit by herself on the airplane (preferably with a glass of wine) while her spouse entertains the kids en route. To that, I’d add one piece of advice a friend offered: If you find yourself in an argument with your spouse, sometimes it’s best to say, “You’re probably right,” rather than roll up your sleeves for a full-out battle. That way, your partner thinks he or she has won, but you haven’t completely ceded your point. My husband and I use this line every so often—at the very least, it lightens the mood. Just sometimes I put more emphasis on the word probably. I’d been wanting to write a novel about college roommates—and the strong friendships that form during those years—but couldn’t figure out the setting. Then one day it dawned on me that an anniversary cruise might be the perfect way to bring the roommates together again. Abby struggles to conceal her illness from her friends, oftentimes experiencing anxiety, fear, and shame. How important was it to you to show your readers the emotional distress an ill person battles when trying to be open with their loved ones? This question is unfortunately personal for me: my mother was sick with the same rare kind of leukemia that Abby has in the book. For more than a year and a half, my brother and I watched our mom struggle with the constant anxiety of wondering if—and when—her condition would worsen. My mom was such a graceful and accomplished person that I can only imagine how difficult it was for her to weather this particular storm. She was reluctant to ask for help beyond her immediate family—I suspect she didn’t want to be a burden to anyone, nor did she want to worry her friends, much less invoke their pity. Beautiful, smart as a whip, and funny as hell, my mom possessed a certain midwestern toughness up until the very end. Having Abby reveal her illness to her roommates was almost cathartic for me—I wanted Abby to have the support system that my own mother often refrained from seeking out. Writing Abby’s story also helped me revisit my mom’s illness with a more hopeful ending. Your novels are perfect for summer reading. What books do you like to take with you to the beach? Are there any authors or stories that encourage your own writing? Thank you! I pretty much love anything by Elin Hilderbrand, Mary Alice Munroe, Karen White, Patti Callahan Henry, Jane Green, and Nancy Thayer. Summer is my favorite season, and those are all great authors of books to take to the beach. I’m also a fan of books that explore female friendships or family relationships, so other favorite authors include Liane Moriarty, Jennifer Weiner, Emily Giffin, Emma Straub, Ann Patchett, Ann Hood, and Lynda Cohen Loigman. I could go on and on, but I’d better stop. Have you ever vacationed with girlfriends? Is there a particular destination you would recommend for a fun girls’ trip? Yes, it’s essential to maintaining our sanity! Every year or so my college girlfriends and I reunite to share stories and recharge. Our getaways are typically short and sweet (a long weekend), but we pack a lot into those seventy-two hours. Our trips have included D.C., Cleveland, Boston, Chicago, New York, San Francisco, Charleston, and Austin. I highly recommend all these cities for their wonderful restaurants, museums, and walking trails. Such travels may sound indulgent, but off-season airfares can be reasonable—and sharing a hotel room with friends helps defray costs. After our getaways, I always feel as if I’ve returned from the spa, restored and slightly more at peace with the world. After all, no one knows you better than your college roommates/girlhood friends—well, except for maybe your spouse or partner. What would you like readers of The Summer Sail to take away from the book? There’s so much that I hope will resonate with readers—the powerful, evergreen friendships women have; the challenges—and rewards—of being a parent; the solace and peace that the natural world can offer even in our darkest moments. In the end, though, I hope each reader will take away a little something different, whether it’s nodding her head in recognition of Lacey’s perplexing adolescent behavior or identifying with the humor and love that sustain longtime friendships like those shared by Abby, Lee, and Caroline. Would you consider writing a sequel to The Summer Sail? What would each of the women be up to? It’s funny—I often get asked the same question about The Summer of Good Intentions, but I find that once I’ve written a book, I’m usually ready to let those characters go. If Abby, Caroline, and Lee continued on, I’d hope Abby would be living life to its fullest many years later; that Caroline and Javier would be happily married, maybe with a couple of kids, and residing somewhere other than New York. Perhaps Paris? Or Hawaii? As for Lee, I’d love for her to finally find true love and to see Lacey graduate and then go on to become a CEO of a Fortune 500 company while raising her own family—a modern-day feminist despite her teenage rebellions. And, of course, the roommates would still be getting together every year. Maybe in their golden years, they could all live in one of those tiny-house communities. Are there any relationship dynamics or familial stories that you haven’t yet explored, but are interested in developing for future novels? Yes, but I don’t dare breathe a word of them so early—so please stay tuned!